Andrea, Paano Ba Ang Making Isang Ina? versus Bata Bata Paano Ka Ginawa? – Both films, Andrea Paano Ba Ang Maging Isang Ina? and Bata Bata Paano Ka Ginawa? earned Nora Aunor and Vilma Santos grand slam wins. 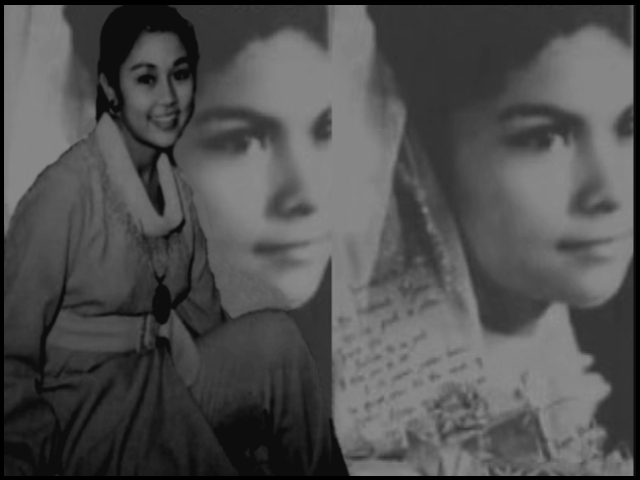 Nora Aunor won the 1990 Best Actress from the Metro Manila Film Festival and then swept the best actress honor from Urian, FAP, Star, Famas, and Young Critics Circle. Adding to the significance of this grand slam wins was her elevation the Famas Hall of Famer. This was her fifth Famas best actress which as stupid as can be required her to be elevated and disqualified her with future wins. In addition to this wonderful honors was the film received its deserving best picture trophies from FAMAS, STAR and of course at the MMFF. He then described Vilma’s performance as…”…But these weaker elements pale in comparison to the movie’s admirable strengths, led by its insightful script and direction, excellent performances by Vilma Santos and Carlo Aquino, and most significant of all, the movie’s evocation of real life being lived with courage and zest….” I can’t agree more… With this description came Vilma Santos third grand slam best actress. Even the pro-Nora Aunor group, Film Desk of the Young Critics Circle or YCC for short confirmed Vilma as their best of 1998. The year gave Vilma her seventh Gawad URIAN as well as the trophies from Star Awards, Film Academy of the Phils., Gawad Sineng-Sine PASADO Awards, Siasi, Jolo. Critics Awards and because she already a Famas Hall of Famer she’s disqualified in their category. But her disqualification were compensated as she received their Lifetime Achievement Award. The courageous and unconventional performance of Vilma Santos was again rewarded the following year as she won the top plum award from the Brussels International Film Festival. Armida Siguion-Reyna in her article for People’s Journal wrote: “…Congratulations to Vilma Santos for winning the Best Actress Award and to Chito Rono for the Best Director Award in the 1999 Brussels International Film Festival! Their film “Bata, Bata…Paano ka Ginawa?” (Lea’s Story) is one of the many films now touring the international film festival circuit passed during the term of the present board. Some people feel that the movie could not have been done nor would have passed uncut the MTRCB previously, because of its theme and use of language. Its principal character (played by Vilma) is a mother to two kids by two different men, now seeking solace in the company of a third.” She pointed out…”…The victories of Vilma and Chito could not have come at a better time for the Filipino movie industry and only shows that the Filipino film artist can meet and even surpassed international standards when given the creative freedom to do so. Of course, we recognize that last year, Albert Martinez, Jun Lana and Ditsi Carolina also won awards in the same festival. I hope the do-gooders who look at the Filipino movie industry with disdain are reading!” Vilma’s Bata was also exhibited at the 44th Asia-Pacific Film Festival in Bangkok , Thailand in November of 1999. The film earned a Special Jury Award – For awareness on woman’s status in Asia-Pacific. Vilma Santos was also nominated as well as Serena Dalrymple as best supporting actress. Switcheroo – Would Vilma Santos be as successful as Nora in Andrea? And would Nora do the unthinkable as Lea in bata? By this time, both are now matured capable actresses. The only difference was that Vilma Santos remained a bankable star. As we all know Andrea was just a mild hit, a pale in comparison with the outcome of Bata. Would Andrea be more successful at the box office if Vilma was in the lead instead of Nora, a higher feasibility is in order. Nora was already in decline in 1990, the previous year she did only one movie, the mild hit Bilangin Ang Bituin Sa Langit with Tirso Cruz III. She did three more films, all were a dismal failure until she hit a jackpot via Flor Contemplacion in 1995. After Flor her career went downhill. She never recovered even with the two trendy digital offerings. Meanwhile Vilma remained bankable. The end of the 80s gave her opportunity to do only serious films. Even mediocre films like Lipa Masacre was a major hit. The only dent in her strong box office record was the dismal bombed of her film with FPJ in 1996, Ikaw ang mahal ko. But she nicely recovered with a string of hits like Hanggang Ngayon Ika’y Minamahal, Bata Bata Paano Ka Ginawa, Anak, Dekada 70 and Mano Po 3. The question now is if Nora can do such type of role, a liberated matured Lea. Would it fit her image and would the masses like her in such role? A formidable task. Then we can also asked the same with Vilma. Would she performed as intense as Nora in Andrea? Reality Checks – In 1990, Vilma was clearly the picture of a fine versatile actress. She can do any roles from a militant nun to a cancer stricken career woman to a sympathetic mistress. The Andrea role will add some variety in her already long history of successful roles. We can conclude that she will be successful as Andrea in Andrea Paano Ba Ang Maging Isang Ina. These scenario will even add some glitter to the box office outcome of the film reversing its dismal result under a Nora Aunor starrer. Meanwhile in 1998, Nora Aunor was already in a decline mode. After the successful box office result of the critically acclaimed Flor Contemplacion, the strings of dismal flops in the box office followed. Muling Umawit Ang Puso, Bakit May Kahapon Pa, Mama Dito Sa Aking Puso, Babae and Sidhi all laid an egg at the box office. She eventually decided to try her luck in America. Playing Lea in Bata Bata Paano Ka Ginawa would be a change from her long lists of similar typecasted roles but the outcome would be questionable as we elaborate above. The role will required her to be as liberated, contradicting her virginal, conservative image. The role will also required her to be sexually active, well impliedly and this might turned off her fans and even herself. Nora will not jumped to an unfamiliar territory. This entry was posted in ARTICLES and tagged ARTICLES, Boxing Matches 6/7, Nora Aunor. Bookmark the permalink.